Eric Silverstein's background in Asian food culture as a child in Japan, and, later, his immersion in Southern and Southwestern cuisine, informs his cooking at his restaurant, The Peached Tortilla, in Austin, Texas. 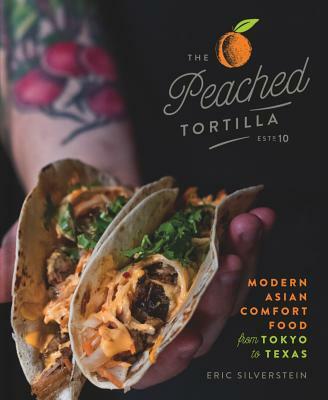 The 100 flavor-packed recipes here include many of The Peached Tortilla's most-beloved dishes, like the Banh Mi Taco, JapaJam Burger, and Bacon Jam Fries, which gained rabid fandom when Silverstein first served them out of his famed Austin-based food truck. Other crowd-pleasing favorites range from crispy Umami Fried Chicken and Korean Short Rib Pappardelle with Smoked Cr me Fra che to Asian Pear Miso Salad and Roasted Cauliflower with Nori Brown Butter. This is Asian fusion at its best, delivering soul-satisfying comfort food with a kick. Born in Tokyo, Eric Silverstein became immersed in Japanese food culture as a child. When his family moved to Atlanta, GA, he fell in love with Southern cooking. Silverstein eventually pursued a career in the food-truck industry, and has since been featured in TheNew York Times, People, Kiplinger's, Food & Wine, and Details, as well as on Live! With Kelly & Michael, Food Network, and The Cooking Channel. Silverstein opened his first brick-and-mortar restaurant, The Peached Tortilla, in Austin, TX, in 2014 (named by TheNew York Times as "One of the Five Places to Go in Austin"). In 2016, Silverstein opened Peached Social House, a one-of-a-kind event and catering space, and in 2018, he opened The Peached Tortilla's first fast-casual restaurant in Austin-Bergstrom International Airport.